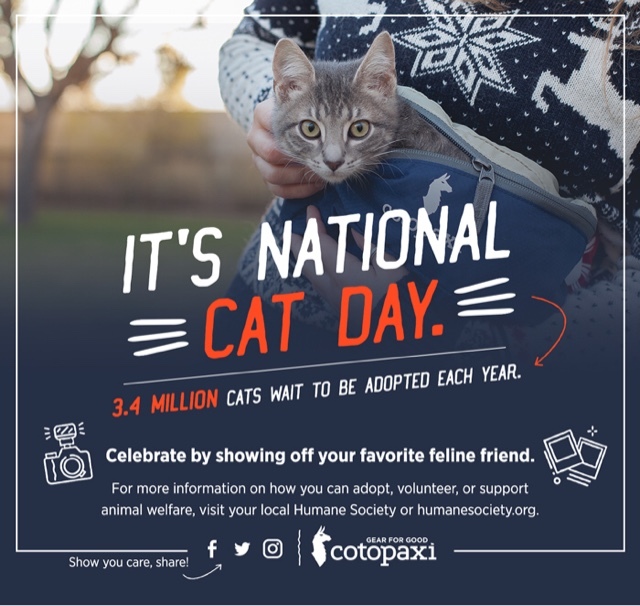 So time for something a little personal and a little different... as you may or may not know, the 29th of October is National Cat day. 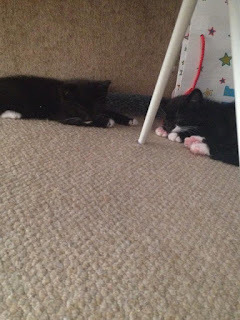 I was inspired by the lovely people at Cotopaxi.com to write a post, to tell the story of how little Boots and Diego came into our lives. Back in 2014, Luke and I had discussed the possibility of getting a pet, we had lived together a year and I felt as though it was time. It was difficult for us because we were both animal lovers but we lived in a place in which we were not allowed to keep pets. But, one day, I saw a message on Facebook, my former co-worker was trying to find homes for a litter of kittens. At first, I just looked at the message and dared to dream for a minute. I showed it to Luke and I was shocked when he didn't immediately say no. We looked through the pictures and Luke saw a little black kitten with a white smudge over his lip. He was the only kitten without a name, that Kitten would later be called Boots. I contacted my friend and arranged a meeting. From the first second Luke saw Boots, he was in love. We managed to get all of the stuff that Boots needed, a Kitty bed (that he never used), a kitten blanket (which is still used everyday) , two bowls, a kitty litter tray and some toys (he was too tiny for a collar) . We also got a kitty travel box and excitedly waited for Boots to be old enough to go and pick up. But wait I hear you say..... Don't you have two cats? Yes, Boots and Diego are from the same litter. Before we went to pick up our little furry friend, Luke and I had another conversation. Would it be fair to pick up a tiny kitten, separate him from his siblings and leave him alone when we are at work? The answer was no. 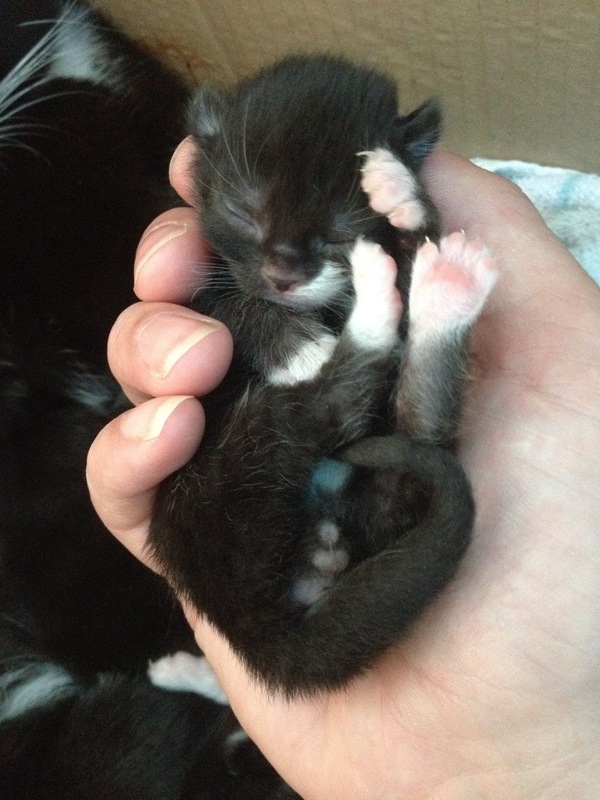 I contacted my friend again, and it turned out that there was another kitten that needed a home. The rest of the litter had been taken, but not this kitten... he was really small for a boy kitten.... there were concerns that he wouldn't survive. The mother had left them at a rather young age. When I got to the house, I saw a tiny pair of eyes. I stuck my hand out and he licked it. I immediately fell in love. The kitten's name.... Diego. We took them both home that night. My friend was overjoyed as apparently Boots and Diego had the strongest bond... they miaowed at the bowl together, play fought and Boots would lead Diego around. After a nerve-wracking drive home, we let our kittens loose. They went and hid under our clothes air dryer. Later that night, the kittens approached us when we were watching a film and we each had one kitten on each lap. We were very careful not to pressure them, we let them explore a couple of rooms at first. Diego on the left and Boots on the right. The first couple of weeks were stressful. I had never looked after pets, where I was the head grown up. But they quickly got used to us and we got used to them. There were decisions that had to be made both practically and medically. The kittens learned together and taught themselves some interesting tricks.... including how to fetch ( which you can see below). They also taught us how to be better with money (no really), how to be less selfish and how to be responsible. There has been some worrying times : Hiding them from the Landlord, when Diego wouldn't drink anything and when Boots got into his first fight (and injuries). But Luke and I have never regretted adopting these little bundles of joy. When I asked Luke he said, we made the right decision but at the wrong time. Lucky for us and the boys, we now live in a new home, where they can wander around at their pleasure and have an outside space and cat flap. I love my boys, and I wouldn't change anything about them, they regularly feature in my videos on the youtube channel and they have been there with me through my dark days with anxiety. Pets are only with us for a short time, but they leave a permanent paw print on our hearts. The unconditional love they give is truly a beautiful thing, even if they can be annoying and demand attention haha. If you are considering getting a pet, please adopt... there are animals that need a home and are waiting to be loved and for you to love them! It's nice to be able to go into the past and share a personal story such as this... I love these type of blog posts.